If you look in the mirror and are greeted with crooked, irregularly spaced, chipped, stained, or missing teeth, it may be time for a smile makeover from East Islip Dental Care. With over 30 years of experience transforming smiles for residents throughout Long Island, our dental team is the perfect choice for a flawless smile. 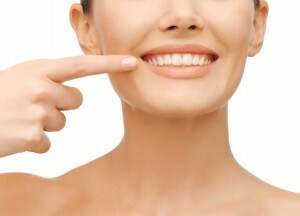 A brighter, straighter smile can make you look younger, healthier, and it may even make you happier. Researchers at the University of California at Berkley reported, at the end of a 30 year study, patients with a genetic predisposition to smile more were on average happier, healthier, and had longer lasting marriages. Call East Islip Dental Care to find out more about how a smile makeover could transform more than your looks. For some patients, smile correction is a straightforward teeth whitening, dental implant, or orthodontic treatment. For other patients, getting the results they desire can take several dental procedures, and many just aren’t sure where to begin. At East Islip Dental Care, we welcome patients who want to transform their look to schedule a free smile makeover consultation. During your consultation, our team of skilled dental practitioners will thoroughly examine your current smile to determine possible areas for correction or enhancement. We encourage you to come to the consultation with questions, and feel free to bring photos of smiles you admire. Look through our before and after photo gallery to see some of the brilliant smile transformations we’ve completed. As we discuss possible treatment options, you will be able to view computerized images of potential results utilizing various treatment options, and adjust your treatment plans as necessary. For complex restorations, we can even create a wax up for you to examine before committing to treatment. Once you have developed a treatment plan to achieve your desired results, we work with you to plan treatments that fit your schedule. You may utilize any of our wide-array of dental services including cosmetic dentistry options (teeth whitening, porcelain veneers, gum recontouring) and restorative dentistry services (crown and bridge, root canal therapy, dental implants). Each treatment plan is customized, and guaranteed to leave you smiling. With more than 31 years of dental experience, Dr. Gary A. Rosenfeld and his top-tier dental team are here to help patients get the picture-perfect smiles of their dreams. Dr. Rosenfeld is a vested member of the American Academy of Cosmetic Dentistry. He has been honored by the New York State Dental Association for completing over 1,000 hours of continuing education. All of our dentists are dedicated to lifelong learning in order to provide the highest quality care for our patients. Our experience and training make East Islip Dental Care the Long Island residents’ first choice for cosmetic dentistry and smile makeovers. Convenience and outstanding care for our patients are always our top priorities, and a smile makeover with our caring team is no different. Patients interested in a smile makeover can take advantage of a free consultation, our extended office hours, and our convenient location Main Street. To find out more about our Suffolk County, NY dental practice, contact us today. We look forward to seeing you soon.